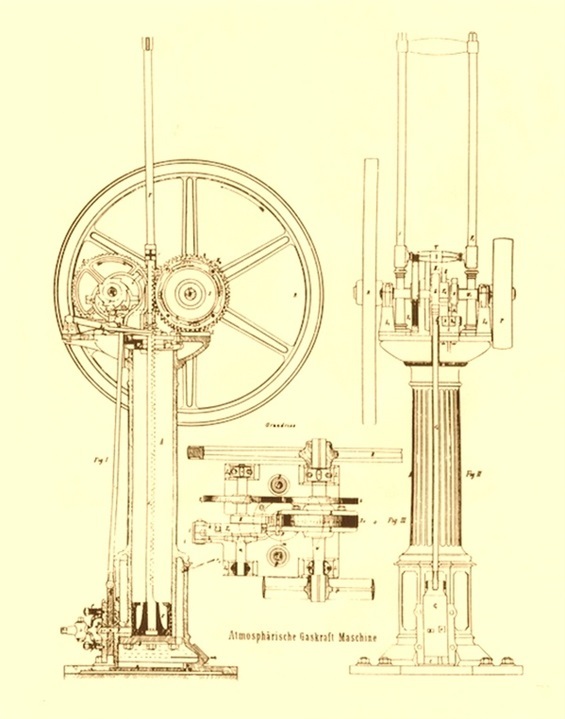 I am very thankful to Mr. Alessandro Ambrosi from Italy, who provided me with drawings of this wonderful machine. 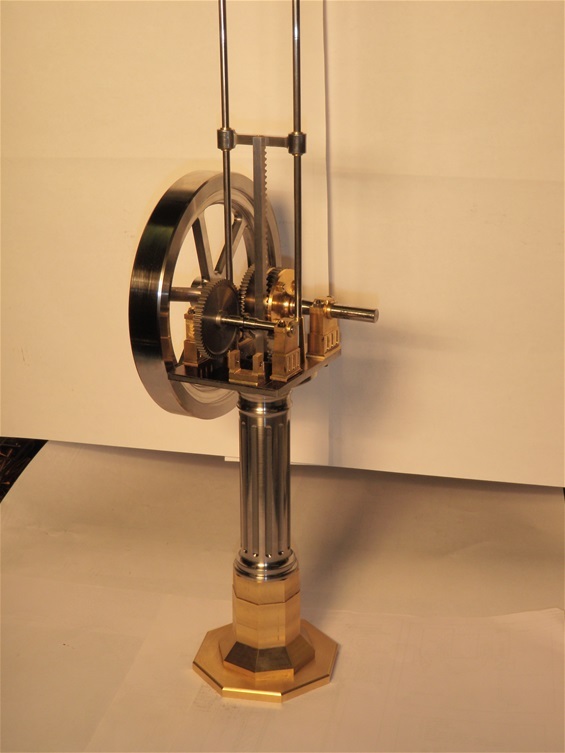 Mr. Ambrosi has done a lot of research about the construction of this engine, and he has built a running model. This is my model so far. 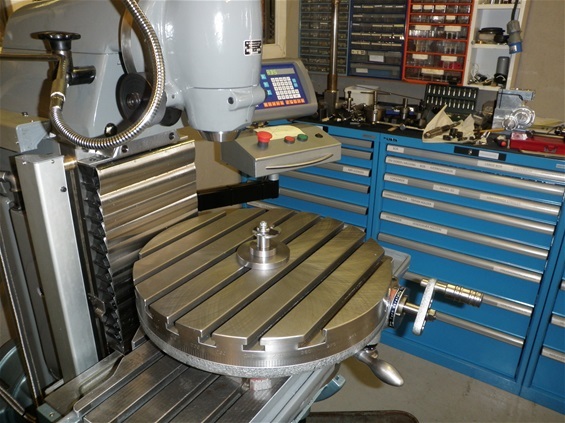 The toothed rack is connected to a gear with roller clutch. 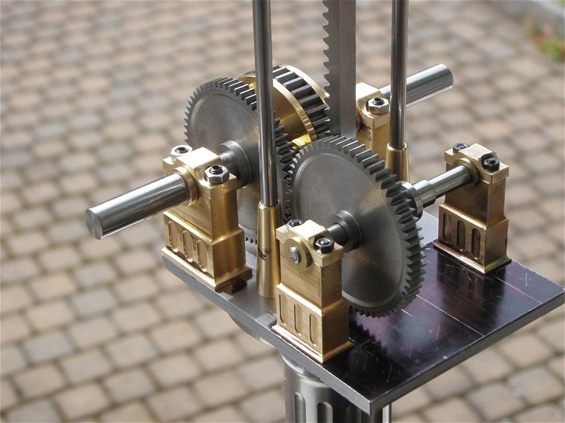 Making of the toothed rack connected to a gear with roller clutch. The roller clutch was invented by Otto and Langen, the two German engineers that constructed this engine. 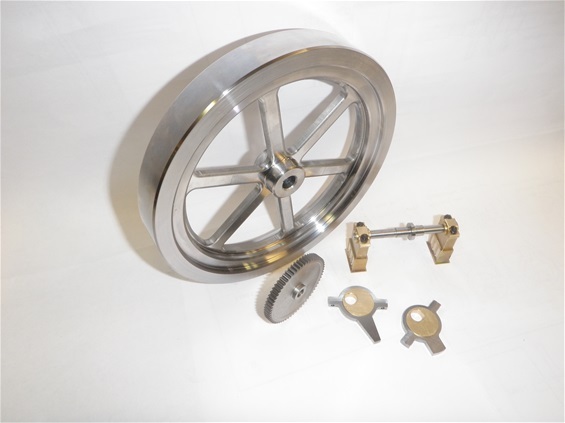 The eccentric disc is turned with the help of a special lathe chuck that easily can be set out of center. 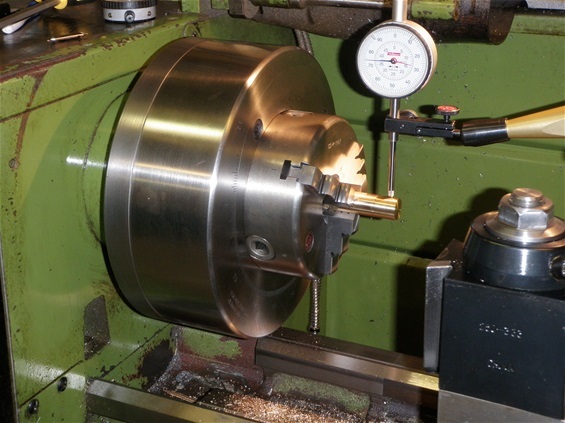 Well using an 4 jaw independent chuck is just as good. 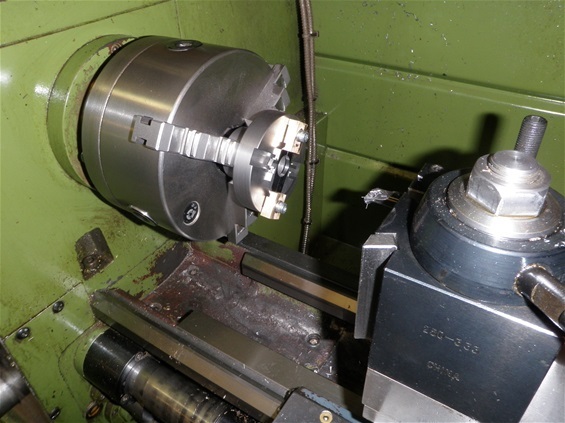 Fixture for inside turning of the eccentric housing. 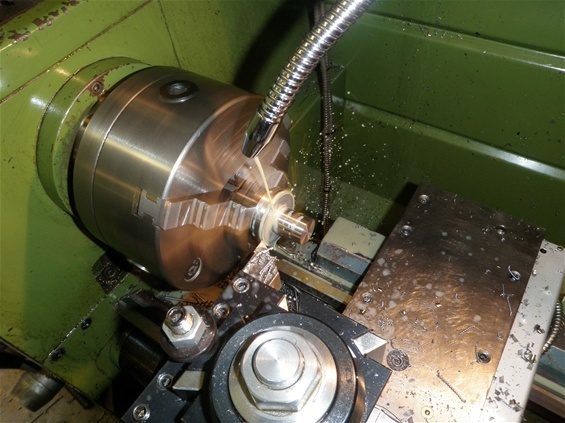 Making of the fixture for outside milling of the eccentric housing. 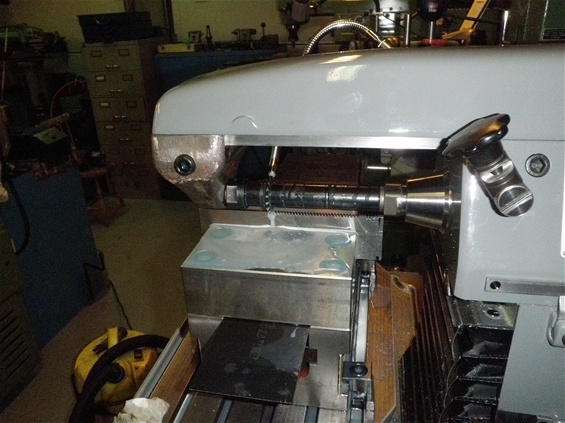 The fixture for outside milling set up in the Deckel FP1 milling machine. 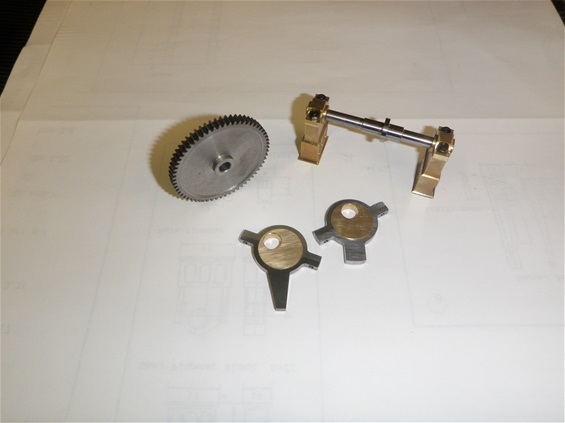 Finished eccentrics with axle and gear. And one day it will be running on gas. 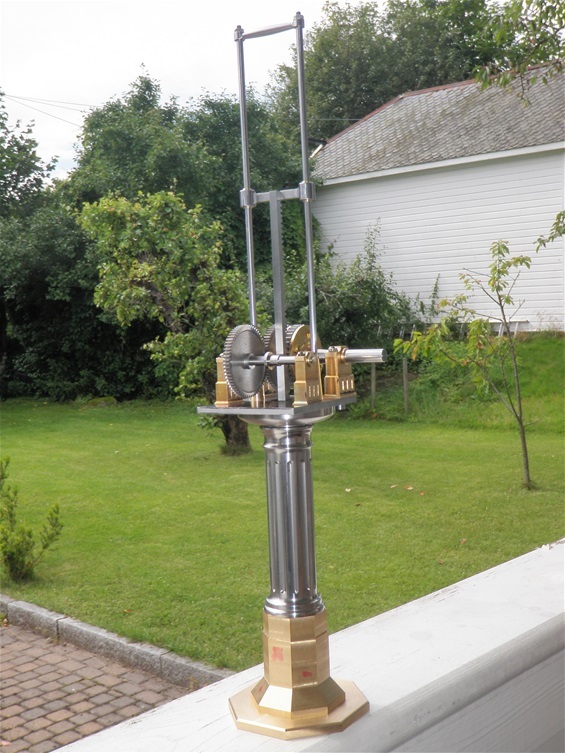 Please look at youtube for other Otto Langen working engines. Very nice motor and fine building. congrat's. I am surching fot drawings. Can you help me? wat are the costs?